Forex traders in Australia suffered big losses due to the sudden sharp rally in the Swiss Franc in January, as well as the high leverage they were trading with. Currency trading in Australia has gotten over this setback now as traders have settled for more diversification. They now trade more carefully, they trade a more diverse range of currency pairs and are more careful with the use of leverage. Foreign currency trading continues to be popular in Australia, as traders, both new and seasoned alike, know that it is possible to find financial independence in the forex market. Beyond the hype for easy and effortless money that a typical forex trading course would claim to offer. Traders who know the market well enough, also know that a career can be found in the forex market, though it's not very easy or effortless. The best way profitable traders describe successful trading today in Australia, is comparing it to athletic training. An athlete needs to train hard in the beginning. But once trained well, it becomes almost effortless for them to beat another athlete, especially a new one, who is just beginning. Therefore, one should not take other people's advice on the issue of the forex market, especially not from people who don't deeply understand this market. Much like sports, these people will attempt to discourage you from figuring out your true potential, citing all kinds of excuses. 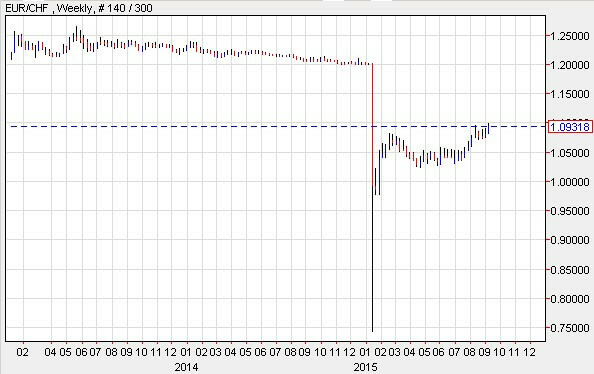 In this case the excuse is the unpredictability of the Swiss Franc and how 'impossible' would be to make money trading. Another important fact in trading is that those who make big money tend to keep it a secret, for personal reasons, and this doesn't happen in sports. Also trading doesn't care about one's popularity, social status or looks; Anyone determined enough and dedicated enough can figure out a winning strategy. This is why good Australian traders will keep on trading currencies and will keep Australia on the forefront of the global trading game rather than quit and suffer losses. Profitable Australian forex traders use varying degreees of leverage, and engage in all kinds of trading strategies. There is no need to go for maximum leverage, which in the case of Australian brokers was made available up to 500:1. Currency trading in Australia has come back in a good way now. As traders have learned the lesson that fundamental factors can override technical indicators, hence technical analysis is far from perfect. In the case of Swiss Franc there had been very few technical signs hinting that the currency would rise against the Euro and US dollar. But they were easy to miss altogether. And yet, despite all the adversity and bad image that was created back In January, which made currency trading in Australia look so bad and perhaps repulsive, the numbers don't lie. Most seasoned traders in Australia make consistent profits, and they do so with no more than 100:1 leverage. Key to their success was the fact that they were aware of the possibility of adverse moves in the market. And that foreign currency trading actually needs to embrace those risks in a free market world as today's.